Learning how to develop mobile Android apps is a wise career move, and this free software development course will show you how to do it. But first, what is Android? Android is a mobile operating system based on a modified version of the Linux kernel, designed primarily for touchscreen mobile devices. With Google Android mobile applications increasing in popularity everyday, the skills you will learn in this Android course are in high demand. In this Android app development course, leading Android developers will talk you through important topics relating to Android apps development in a series of video presentations. The lessons include an architecture overview of Android apps. Here, you will learn the application lifecycle of Android as well as discuss Android API. API, or Application Program Interface, is a technical development environment that allows access to another party's application or platform. This course will make all of this crystal clear. As you become familiar with the concepts of Android technology, you will learn about Android app development, its anatomy, and Android app tools and publishing. You will study the different development tools such as Eclipse, Netbeans, and IntelliJ, and the Android User Interface (which is what your user sees and interacts with). The course will then guide you through adapters, background and images, drawing and invalidating, hierarchy viewer, views and layouts, and memory allocations. The Google Play store had over 2.8 million Android apps as of March 2017, higher than the Apple App Store’s 2.2 million and Microsoft Windows’ 669,000 apps. This means that Android has the biggest market in the world. If you are interested in learning more about application development for mobile devices and, in particular, for Android, this course will be of great benefit to you. So, check out the course today and join the developers whose applications are being purchased around the clock. Upon completion of this course you will understand Android architecture and the key principles underlying its design. You will gain a good knowledge of how Android can achieve smooth integration with different components.You will have a good understanding the processes that are involved in an application. You will have a knowledge of different applications available with Android. 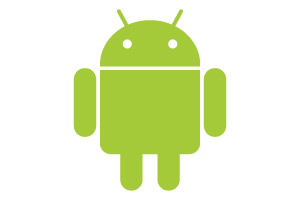 You will become familiar with Android development tools and user interface.